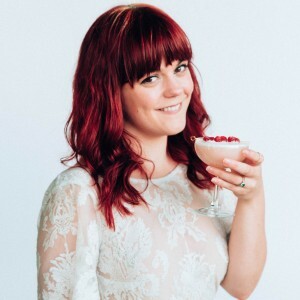 Get your chilled glasses ready, it’s World Gin Day this Saturday! 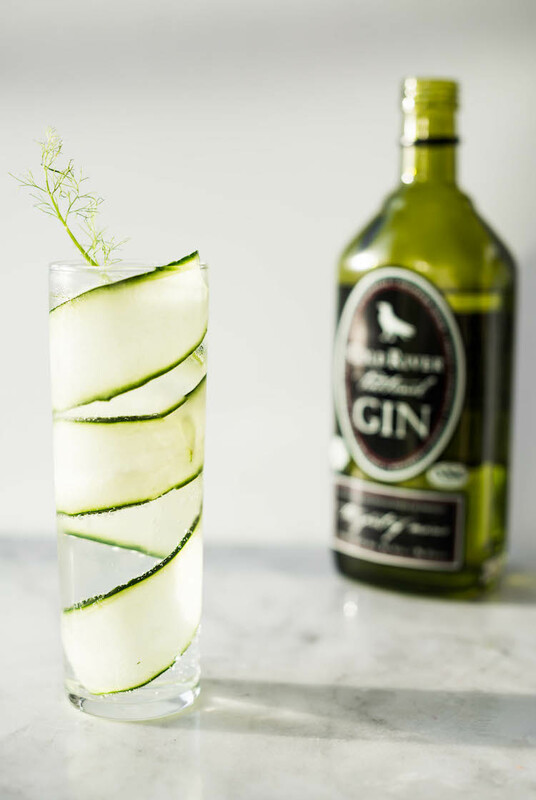 In anticipation of this delicious holiday, I am whipping up a Cucumber Fennel Spanish Gin & Tonic with the help of Cold River Gin & The Bitter Truth. 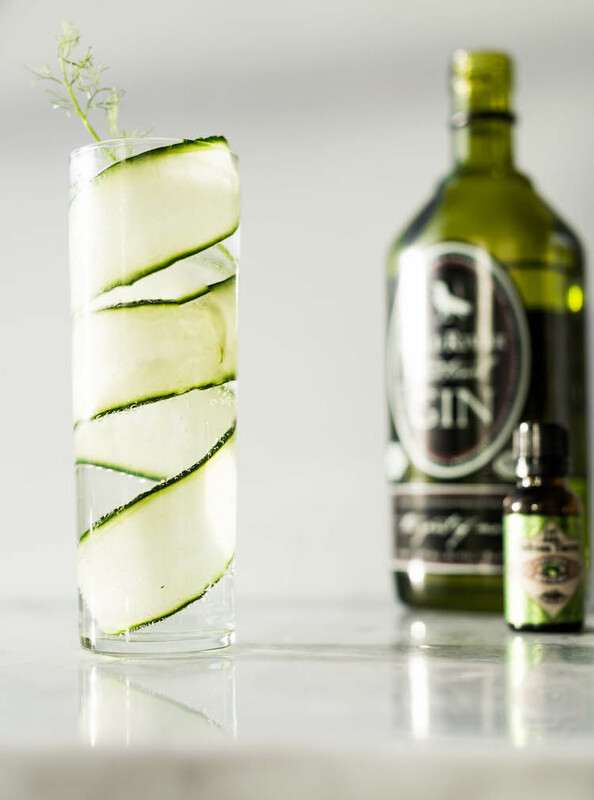 If you are unfamiliar with what a Spanish Gin & Tonic is, they are an easy peasy way to add extra flavor to your drink with out covering up the beautiful botanicals from the gin and the tonic. 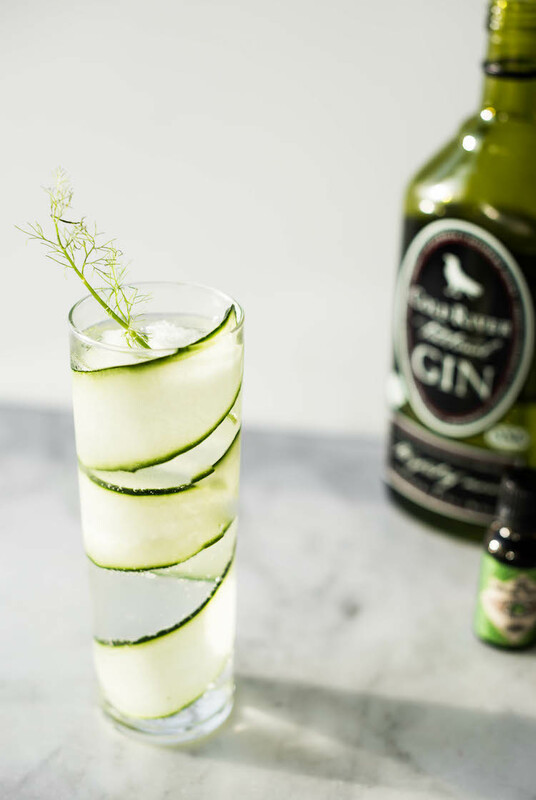 A variety of ingredients, usually herbs and fruit, are added to the glass before topping with gin and tonic. This allows the gin to “infuse” as it gets poured over. 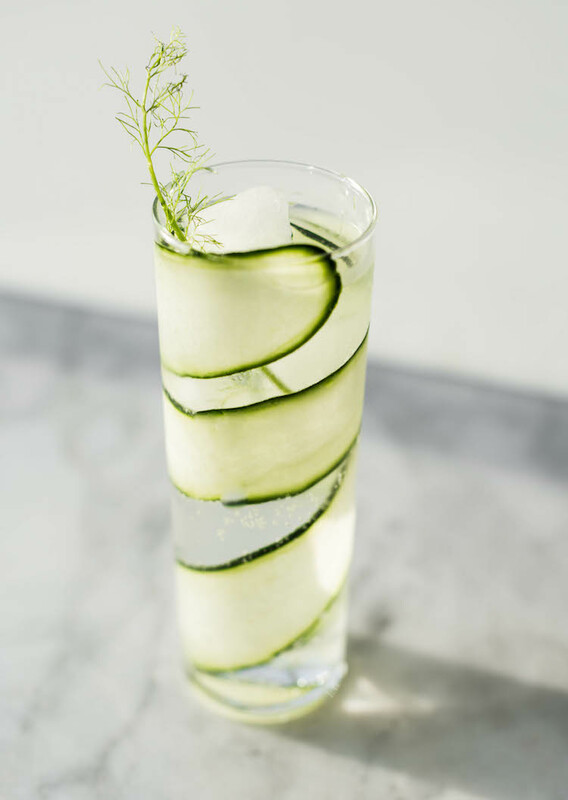 This Cucumber Fennel Spanish Gin & Tonic with bitters is a refreshing summer sipper that’s light and bright to keep you cool as a cucumber even on the hottest of days. 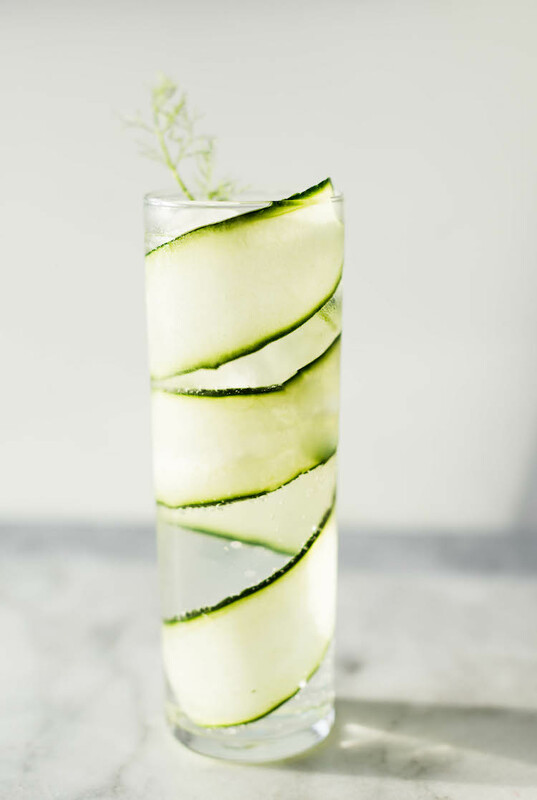 I wanted a bright G&T that wasn’t citrus heavy, so I turned to cucumber and herbs. We found out my husband has a citric acid intollerence, (why the f is that a thing?!) which basically means he can’t have a lot of cocktails. More on that some other time. 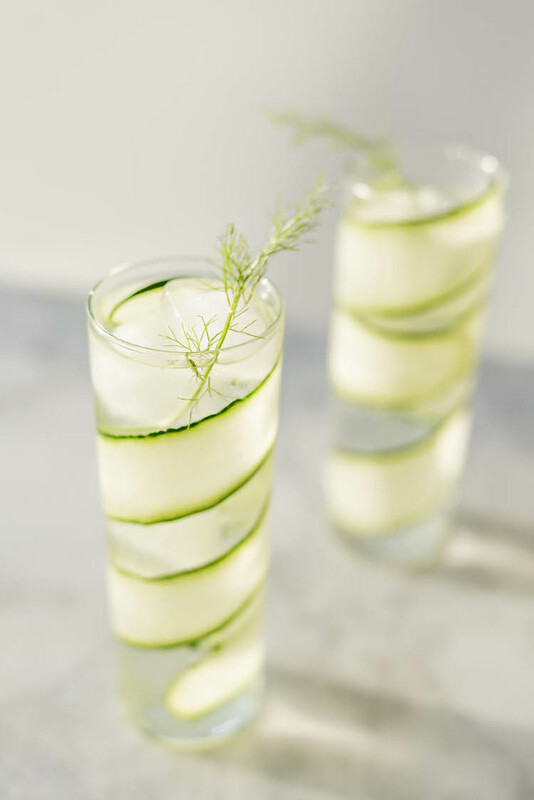 I wanted a strong cucumber taste with out using juice which would have diluted it a bit so I turned to cucumber bitters from The Bitter Truth to bring the cucumber flavah. A lil’ dash will do ya! The addition of bitters teeeechnically makes this a GT&B. 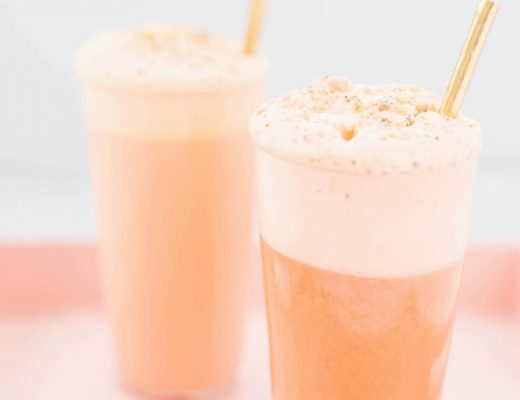 No matter how you’ve shake it though (the puns don’t stop around here, you should know this by now), this is a great drink to enjoy all summer long! 1. Chill a highball or large glass in the freezer for 10 mins. prior to making the cocktail. Nice and cold is the name of the game with G&T’s! 2. 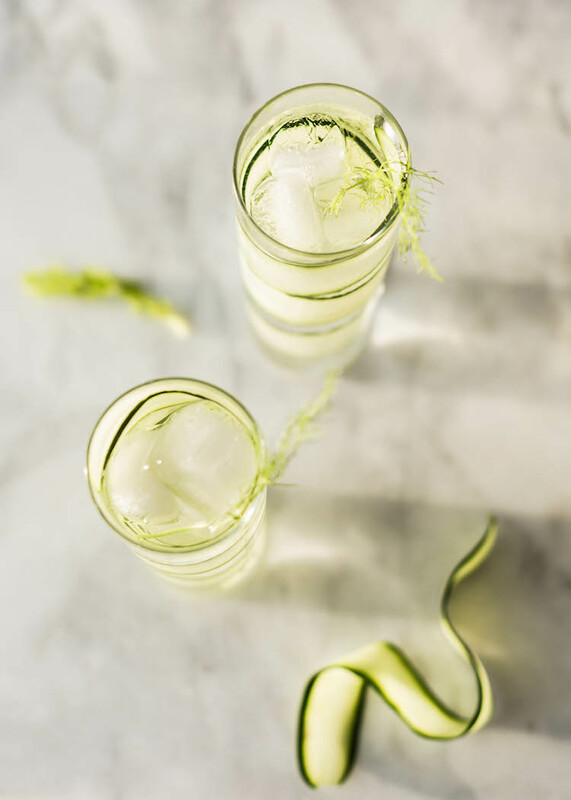 Rub one of the fennel sprigs inside the glass and discard. Get all those herbaceous oils in there! Cut the cucumber ribbon by using a vegetable peeler to peel a thin slice length wise. 2. Add the ice (preferably 1.5 inch cubes, they melt slower) to the glass. Add the other fennel sprigs on top of the ice. 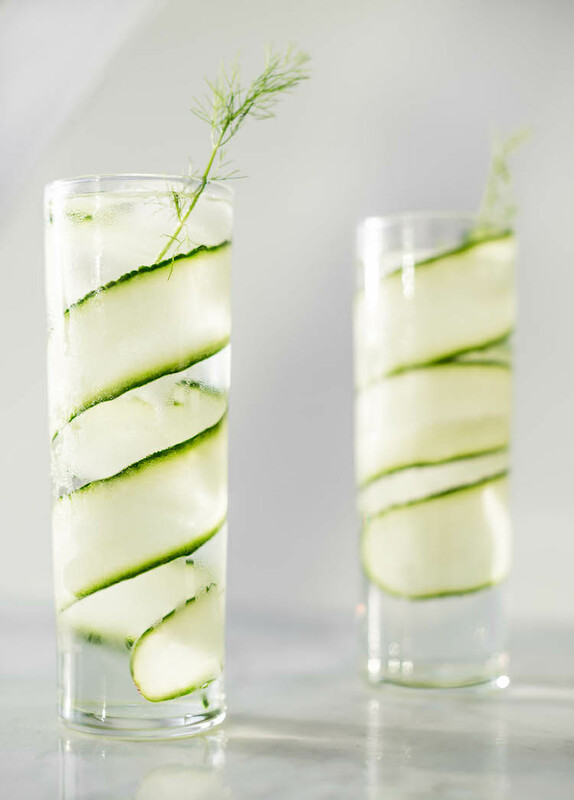 Spiral the cucumber ribbon along the outside of the glass, use a chopstick or butter knife to guide it along the outside of the glass. 3. Dash in cucumber bitters. Squeeze the lime in the glass and discard the wedge. 4. Add the gin slowly to the glass. 5. Top with tonic and stir to incorporate everything. Enjoy! I received product from Cold River Gin & The Bitter Truth, but all opinions are my own! 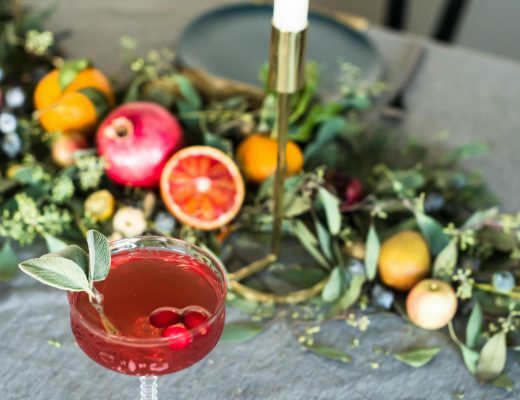 I love the presentation of this cocktail! And I totally agree with you about adding bitters to G&Ts. 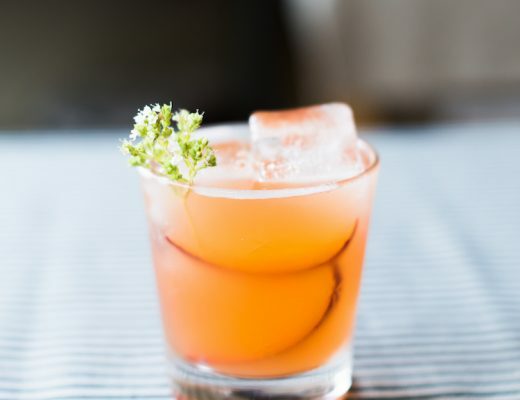 I recently made this version with Limoncello and bitters… let me know what you think! Sounds so delicious! I love a good limoncello!